Users, that’s what IT calls customers, tend to think of IT as what they see on the monitor (Outlook, Word, browser, business apps), but so much more goes into providing services including disaster planning, security, documentation, auditing, training, support, reporting, network management, disk storage, vendor management, IT operations systems (ITIL), expense management … the list goes on and on. I offer four things that Marketing doesn’t know about IT. In addition to the traditional monetary (products, spend, portfolio) based mechanism of measuring customer value , Wunderman is suggesting a more complete valuation of the customer to include influence and engagement. 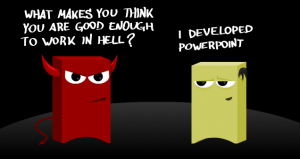 Create powerpoint presentations that communicate effectively with your audience. On April 25, 2019 8:01 am went 5.08 mi. during 00:27:42 hours climbing 132.87 ft.
On April 25, 2019 6:51 am went 5.19 mi. during 00:23:25 hours climbing 114.83 ft.
On April 24, 2019 5:28 pm went 7.89 mi. during 01:36:52 hours climbing 561.02 ft.
On April 22, 2019 7:55 am went 5.03 mi. during 00:31:37 hours climbing 132.55 ft.
On April 22, 2019 6:26 am went 5.15 mi. during 00:27:13 hours climbing 114.83 ft.